The Monnmouth Museum is A Museum of Ideas, a children's Museum, an adult's Museum, a family Museum. 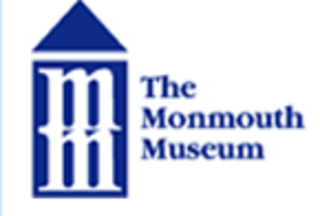 The Monmouth Museum is one of the top five museums in New Jersey. A center for education and culture, and a focal point for dynamic ideas, the Museum features changing exhibitions and programs which appeal to a variety of interests. Changing exhibitions featured in the Museum’s Main Gallery and the newly created Nilson Gallery present a wide variety of art in all media. Historical and scientific subject areas are also explored on a regular basis. Organizations such as the Monmouth County Arts Council, the New Jersey Watercolor Society, the Sculptors Association of New Jersey, and local arts organizations present group shows at the Museum. Guest curators are invited to assemble works in their special fields from artists, private collectors, and museums and corporations throughout the Northeast. Our 2,300 square foot main exhibition space offers changing exhibitions in the fields of science, nature and cultural history as well as formal presentations of art in every media. From sculpture to watercolor, oil painting to photography, printmaking to video, you have a opportunity to see some really great work. Art work from local talent as well as state and national touring exhibitions is presented. Click on the Main Gallery icon at right for current exhibition calendar. Although many of our attractions presented in the Main Gallery are designed to appeal to adults, younger visitors may still find many items of interest.